Elsewhere throughout this text, other authors have discussed the role of targeted immunotherapies, small molecules targeting the B-cell receptor complex and tyrosine kinases that regulate cellular function. In this chapter we address other small molecules that target cellular signalling pathways involved in malignant cell survival, not otherwise addressed in this book. Wire GN. 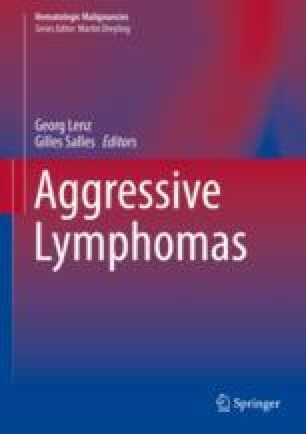 Epizyme announces Tazemetostat fast track designation for follicular lymphoma and plenary session on Phase 2 NHL data at ICML 2017. https://globenewswire.com/news-release/2017/04/25/970819/0/en/Epizyme-Announces-Tazemetostat-Fast-Track-Designation-for-Follicular-Lymphoma-and-Plenary-Session-on-Phase-2-NHL-Data-at-ICML.html. Accessed 10 Jan 2018. Morschhauser F, Salles G, McKay P, Tilly H, Schmitt A, Gerecitano J, et al. Interim report from phase 2 multicentre study of tazemetostat, an EZH2 inhibitor, in patients with relapsed or refractory B cell non-Hodgkin lymphomas. 2017. http://www.epizyme.com/wp-content/uploads/2017/06/ICML-Tazemetostat-F-Morschhauser-FINAL-2.pdf.